developed with ideas put forth by educational psychologists Gerald Corey, Marianne Schneider Corey, and Patrick Callanan: They proposed narrowing the gaps in achievement between minority and non-minority students. The gaps could also be closed between those students coming from disadvantaged backgrounds and those with a greater number of advantages. The act set up stringent standards for schools and established continuous assessments to evaluate schools progressions. “The act is based on four basic principles: stronger accountability for results, increased flexibility and local control, expanded options for parents, and an emphasis on teaching methods that have been proven to work," according to information now archived in the U.S. Department of Education website. Under the No Child Left Behind Act, the inequality of standardized test scores should be eliminated by 2014. While the Act stated that students in all public schools in all states would undergo annual testing, there have been no set federal standards for these tests. States have to use their own good judgment on how to go about testing the students. There have been major differences in this array of testing. Some states test every year while other states test every three to four years. Some states even test various subjects, not only the mandated reading and math. One major difference is that some states use norm-referenced tests while other states use criterion-referenced tests. “Norm-referenced tests assess a student’s broad knowledge, measuring performance against a relevant comparison group. Criterion-referenced tests measure specific skills in relation to pre-established standards of academic performance." (Wenning, Herdman, Smith, McMahon, & Washington, 2003) Supporters of this Act prefer criterion-referenced tests because they can be appropriately aligned to the states standards. Unfortunately, they are more expensive to prepare and the consequence is results which are harder to compare. There is a lot of flexibility with the testing standards. Standards were set forth such that before 2005-2006 each state had to test proficiency for math, reading or language arts at least one time between third and fifth grade, sixth and ninth grade, and tenth and twelfth grade. By 2005-2006 each state had to test these subjects annually between the third and twelfth grade and by 2007-2008 school year science was to also be included. Unfortunately, the definition of proficiency differs from state to state. Which Students Are Being Tested? Under the No Child Left Behind Act all students are being tested. These groups include all ethnicities, economically disadvantaged students, students with limited English proficiency, students with disabilities, all public schools including charter schools, and both genders. This testing is not just geared toward Title 1 schools; all students between kindergarten and twelfth grade are tested. In the past, students with disabilities had been exempted from statewide testing to ease the stress caused by testing for these students. The states also had to set forth a twelve-year plan for each subgroup of students to help them attain proficiency. Annual measurable goals had to be developed by states consistent with schools throughout the state. Proficiency increments should occur within the twelve years, with the first rise occurring within the first two years. States could set up a standardized method for averaging statistics over years and with grades in a school. Parents will be notified of the progress made throughout the state schools. Schools who reached the standards set forth would attain additional funding. Schools who did not meet standards would have funding taken away from them. 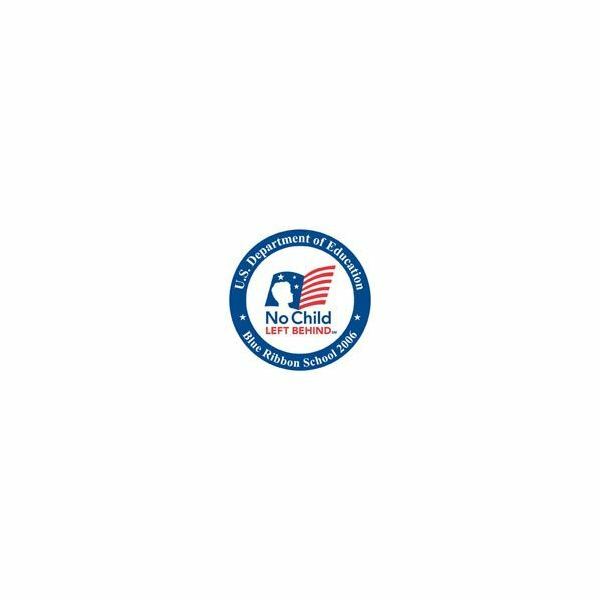 The No Child Left Behind Act is not only costing money but also costing valuable instructional time, staff time, and administrative time. Students are losing out on valuable instructional time to allow not only for the actual testing but also for the preparation of the tests, administration of the tests, and scoring/shipping of tests. All this time could have been spent on actually “teaching" the students. “One consequence is that the testing shifts the focus, for at least a month, from learning to testing. This plays out in many ways from the time actually spent testing to loss of guidance and reading specialist support to loss of administrative support." (Zellmer, Frontier, & Pheifer, 2006) Wisconsin ASCD surveys questioned about the benefits of the No Child Left Behind Act. Approximately 17 percent of the respondents stated they saw no or little benefits; 21 percent stated they saw an increase in awareness of standards; and 20 percent had stated they saw an increase in awareness of the subgroups of students. I find that an assessment which may work much better than standardized tests for everyone overall would be a portfolio assessment.“A portfolio consists of a systematic and organized collection of a student’s work that demonstrates the student’s skills and accomplished." (Santrock, 2004, p. 542.) In summary this is almost like a story which tells about the student’s progress and achievements over time. The No Child Left Behind Act was set forth to solve inequalities in testing. There are inequalities in testing with economically disadvantaged students, minority students, and students with disabilities. There were no federal standards set forth though with every state regarding testing. For instance, some states have norm referenced tests while other states use criterion referenced tests. If there was no set standard then how would we know what to really go by? I think the testing takes up way too much class and learning time. This time is valuable for students especially students who fall below par. Since the No Child Left Behind Act has been put into effect I have seen many students fail consistently in the public school system. I also find that testing children is not the best way to assess and may very well be unreliable. There has to be other ways to determine assessment for children, such as portfolios which I have noted above. Portfolios would at least allow evaluation of many diverse works from the student not just one set test. The portfolio would also allow for multiple intelligences to be seen not just mathematical, language, or science ability. "The use of portfolio-based teacher appraisals has emerged as an intriguing option to makethe time required for teacher evaluation more productive andthe process more meaningful, comprehensive, and accurate." (Attinello, Lare, & Waters, 2006) While there are some disadvantages with the portfolio it is an up an coming assessment tool not only for students but for teacher's professional growth. While standardized tests are more reliable compared to the portfolio, more educational psychologists are recommending the portfolio as the alternative assessment. Since it is such a new assessment process, kinks can be worked out and hopefully soon we as teachers will all be including some sort of portfolio assessment in our student's evaluation. In the meantime, 33 states have achieved waivers from NCLB compliance. The individual states were given time to work out their own standards in order to close the gaps. There is still a lot to work out but the fact that educators are still working on it means that sooner or later, they will get it right.